Spinal Fusion is used to treat spinal instability and alleviate chronic mechanical back pain but many people are unsure of what spinal fusion actually does. Spinal fusion is surgery to permanently connect two or more vertebrae in your spine, eliminating motion between them. 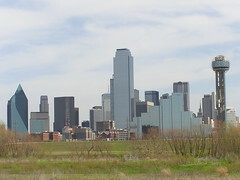 Spinal fusion involves many techniques designed to mimic the normal healing process of broken bones. 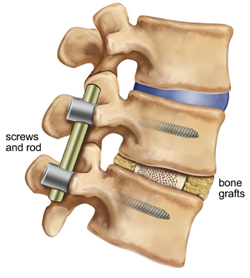 During spinal fusion, your surgeon places bone or a bone-like material within the space between two spinal vertebrae. 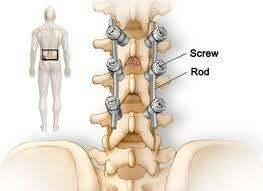 Metal plates, screws and rods may be used to hold the vertebrae all together, so they can heal into one solid unit. 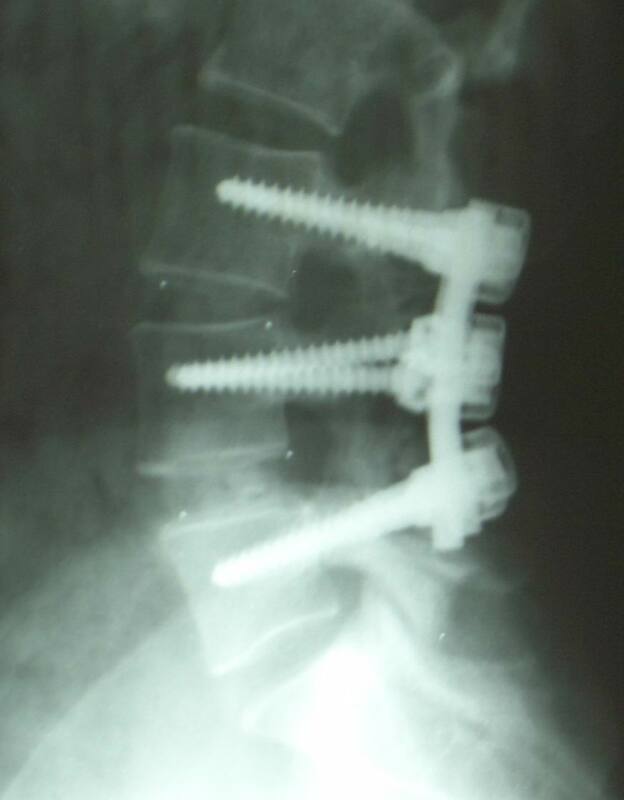 Because spinal fusion surgery immobilizes parts of your spine, it changes the way your spine can move. This places additional stress and strain on the vertebrae above and below the fused portion, and may increase the rate at which those areas of your spine degenerate.